Since we started running our Shed of the Month competition we’ve received some inspiring images of sheds showing all the different ways that people use their shed space. One of our favourite entries was a Tiger Shed transformed into an idyllic Beach Hut; perfect to enjoy in the summer heat! 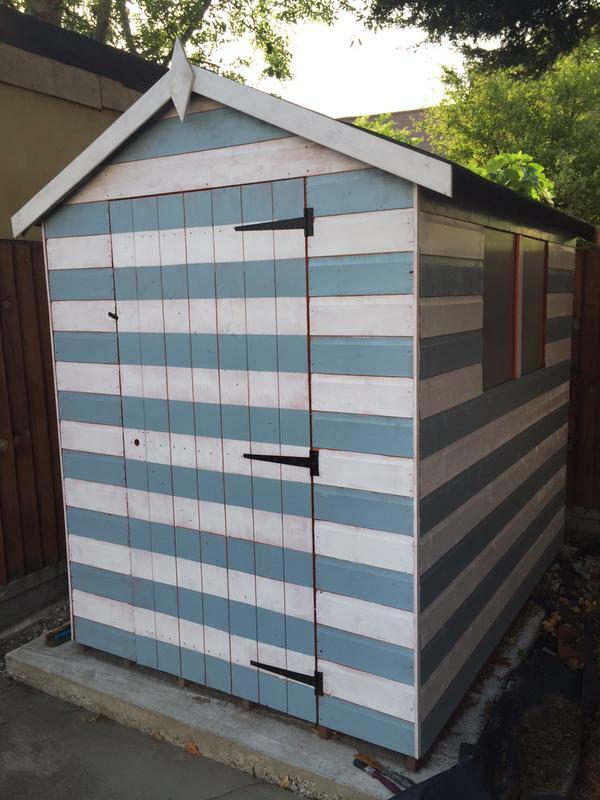 The first step is to give your shed a beautiful paint job. 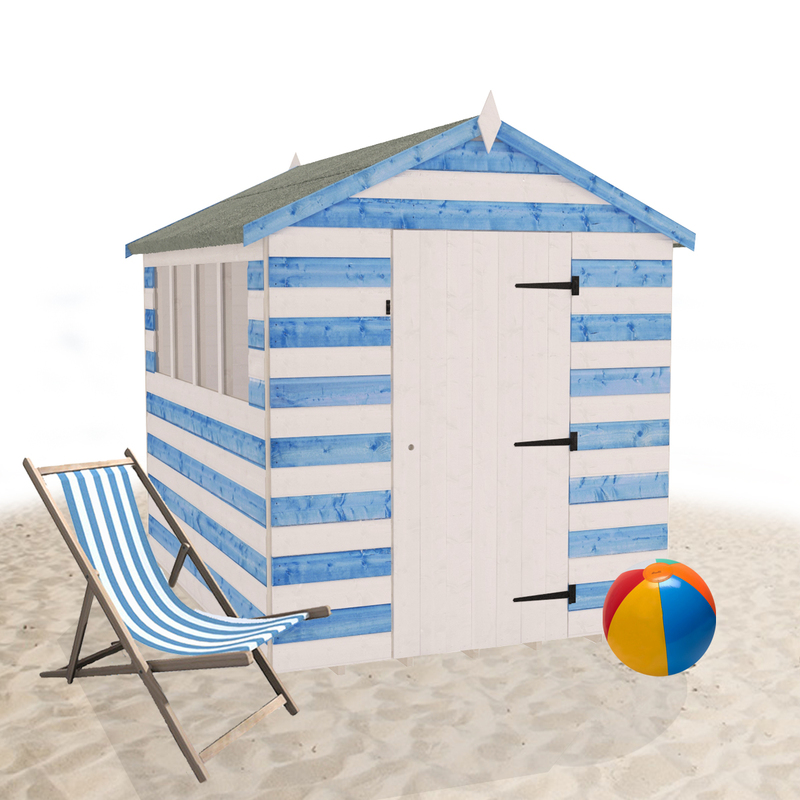 To get the traditional ‘Beach Hut’ look give your shed stripes using a vibrant pastel colour and either a white or cream to give the full effect. We think that this pattern works perfectly on the Tiger Shiplap Apex Shed just like the one in the image. 2) Once the paint is dry. Mask off the remaining rows to prevent you from painting outside the lines. 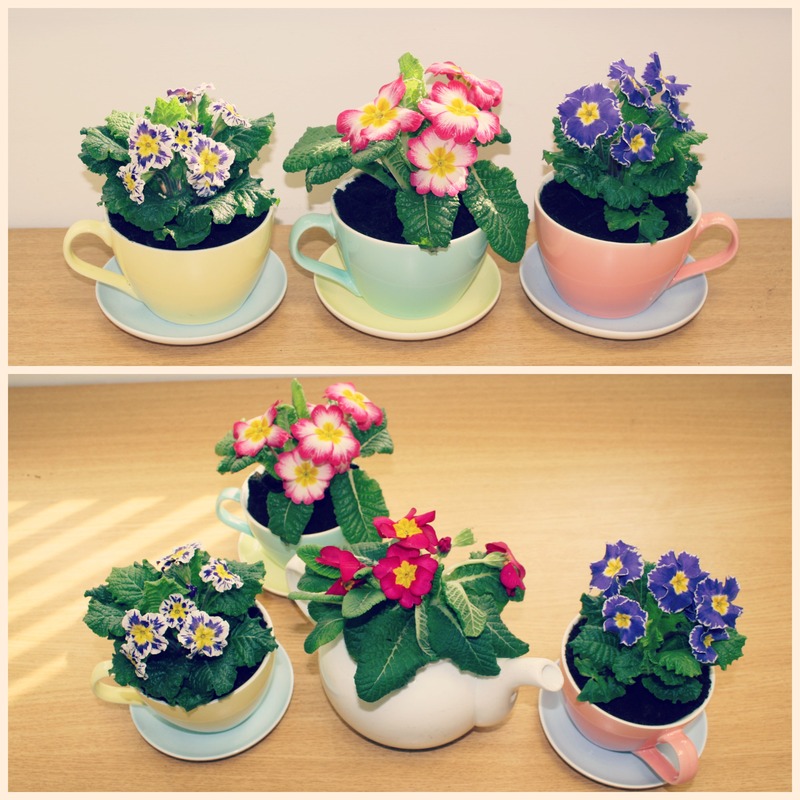 3) Pick a bright and vibrant colour, usually pastel, and paint the remaining rows. 4) Once dry, peel off the masking tape and there you have the perfect ‘Beach Hut’ look. 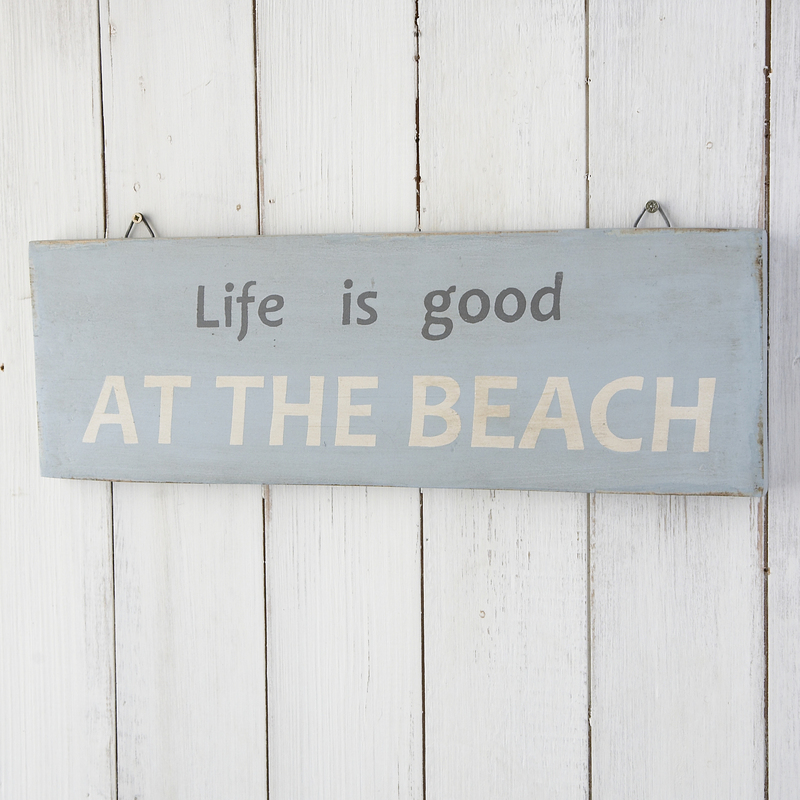 Give your shed the full at-the-beach feeling just by adding some unique nautical signs to set the scene. 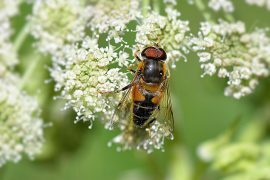 LiveLaughLove have a fantastic range of products at great prices which will instantly make you feel like you’re a brisk walk away from the shore. 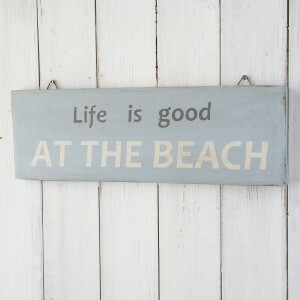 One of our favourite items from this website is this ‘Life is good at the beach’ rustic sign. Click here to view this product and other nautical accessories. 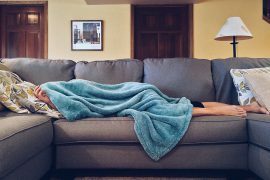 With all those Summer parties and BBQ’s your hot party guests will want somewhere to relax and take it easy. 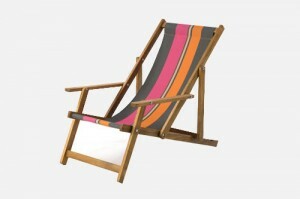 Deck chairs are the perfect addition in keeping that beach theme alive. Southsea Deckchairs have a stunning collection of furniture which would fit perfectly either inside or outside your shed. In particular we liked the Armchair Acrylic C75. As we all know very well, British weather is unpredictable so fold away furniture is a practical and easy option. Everything Nautical have this fantastic side table which would be both practical and brings the nautical theme together. No matter how you use your shed, storage is imperative to ensure everything is kept looking exactly the way you want it. We love this Marine Large Storage Tote which provides an attractive and tidy storage solution from The Range.